HOW IS TECHNICAL TRAINING DIFFERENT FROM TEAM TRAINING? Team training addresses both ball work and team and tactical preparation. Technical training focuses primarily on individual ball skills. SHOULD I REGISTER MY CHILD FOR TECHNICAL TRAINING AND A TEAM? No. If your child wants to do both, only register him or her for a team. They will be automatically added to technical training. You should only register specifically for technical training if your child doesn't want to sign up for a team at any point during the season (November-June). WHEN CAN MY CHILD BEGIN TECHNICAL TRAINING? Immediately (once training sessions begin in November)! If your child registers for a competitive team, they can participate in technical training right away, even if their team practices haven't started yet. Get your money's worth by registering for a team sooner rather than later. HOW DO I KNOW WHEN AND WHERE TO SHOW UP TO TEAM PRACTICES? Someone from the club will contact you with these details shortly before your session starts. To any practice or training session, all players should wear soccer shoes appropriate to the surface (sneakers can be worn in a pinch but are discouraged). They should wear shin guards and soccer/athletic appropriate clothing. They should also bring a ball, if they have one, and something to drink. Anything needed for games will be communicated to you by the coach. WHAT AGE GROUP IS MY CHILD? Click here to find out your child's natural age group. We do not offer teams for every individual age group, but we do accommodate all players. Our teams combined similar sized age groups. For example, the U14 team will include both U13 and U14 players. CAN MY CHILD PLAY UP AN AGE LEVEL? CAN THEY PLAY ON THE SAME TEAM AS THEIR SIBLING/FRIEND? In general, this strongly discouraged. Any decision on whether a child can play above their natural age level will be made based on the player's soccer ability and whether they are physically read to compete at a higher level. DOES MY CHILD NEED PRIOR SOCCER EXPERIENCE? DOES MY CHILD NEED TO TRY OUT? ARE TEAMS CAPPED IN SIZE? Yes. We do this to ensure coaches can give all players adequate playing time to help their development and enjoyment. Team caps vary by age level. Similarly, all teams require a minimum number of players to be considered viable. So if your child waits to long to register, they may not be on any team, regardless of their ability level. DO YOU OFFER DISCOUNTS FOR MULTIPLE KIDS IN THE FAMILY? I PAID FOR TECHNICAL TRAINING ONLY BUT NOW MY CHILD WANTS TO PLAY ON A TEAM. IS THERE ANY DISCOUNT? DO WE GET TO PLAY IN TOURNAMENTS? All of our spring teams typically play in our Mountain Mayhem tournament on the day before Mothers Day. Other spring and winter tournaments may be done at the discretion of the coach, in consultation with team families. Tournaments other than Mountain Mayhem incur an extra cost. DO YOU OFFER HARDSHIP ASSISTANCE? Yes, at the discretion of the board. Please contact northernunitedsc@gmail.com if you have such a need. WHAT DO I DO IF I AM INTERESTED IN COACHING? DO I NEED EXPERIENCE? If you are interested in coaching, please contact northernunitedsc@gmail.com - please also mention any past coaching experience, soccer or otherwise. that you have. If you have little or no experience, you can still be involved by helping assist a more experienced coach. 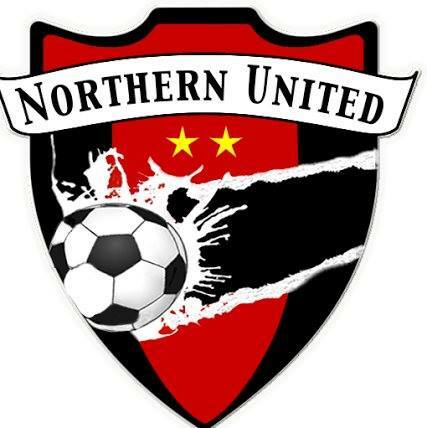 Please contact northernunitedsc@gmail.com if you are interested in helping out.